Now, let me just say that I don’t think all tall, rasta tam wearing dudes with expensive cameras look alike, but then again, you don’t see them every day. 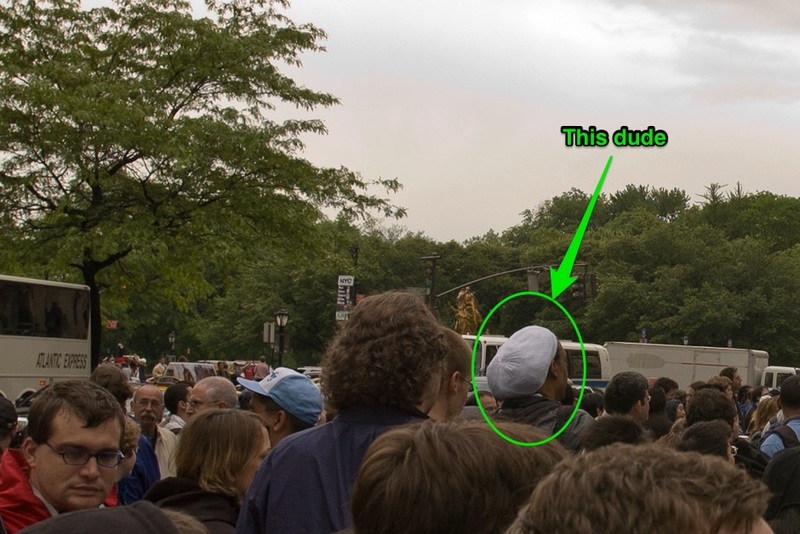 While in my mind I was 95% sure it was the same guy, I wanted to have something more conclusive…like a photo. 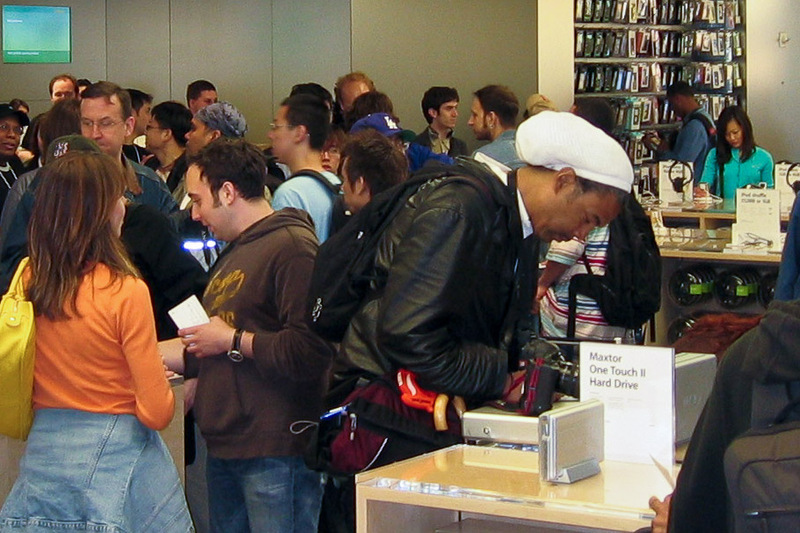 The photo of The Press Dude at the U2 Book Signing was good, but I wasn’t sure I had anything except a far-away shot of The Press Dude at the Apple Store opening – it’s not like he was a subject that I was going to photograph, so any good pictures of him would be accidental. I fired up Lightroom and scoured all the photos I had from the opening. The very last photo I took in the store that day was a wide shot of the chaos inside the store near the Genius Bar as people filled out their sweepstakes cards, and jockeyed to get their free t-shirt. In a corner of the photo is a man in a white rasta tam filling out his sweepstakes card. And right next to him is his Canon 1D. I found my white whale. The hair color; the sideburns; the mustache; the rasta tam; the Canon 1D. My conclusion: same dude. But how come he had a press pass for U2, but not for the Apple Store opening, which had a lot more press?